I will manually do 1000 PR2+ DOFOLLOW Backlinks on actual page not inside page in very cheap prices on Seo clerks.Limited Quality Offer Exclusively for SEOCLERKS ★★ Google Penguin & Panda Safe! All blog comments are 100% manual and Dofollow linked . You will receive 100 blog comments Including 2 PR7 links. I do not use automated software or tools. ★★ I Guarantee you will love my service ★★, Order now! For just $14, there's nothing to lose! A Detailed Excel Report will be provided on work Completion. Help your website grow naturally. 1. 100% DoFollow, 100% Approval Rates. 2. Manual submission only: No Automated Software. 3. Our 100% Satisfaction Guarantee. 4. 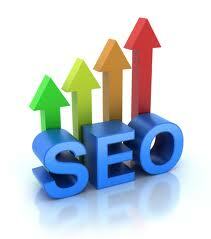 We follow all of Google’s guidelines so you get the maximum power from your backlink. 5. we will deliver our service as promised. 6. All comments will be 100% related to the post. 7. All page Rank Are Actual Page Rank Not Home Page. 8. Increase in SERP = Increase in organic traffic. Manually create 1000 PR2+ Dofollow Backlinks On ACTUAL page is ranked 5 out of 5. Based on 2 user reviews.